Electricity is very important to any nation’s growth, economically and otherwise. Yet, a few developing nations still struggle with the generation and equal distribution of electricity. To rely on public power supply in these countries is virtually a vain attempt and so one way out has been the use of a generator. There are other ways asides using a generator, but a quick and easy way out is in the use of a generator. Research has shown that market sales of generators will keep growing at a rate of 5.85% until 2020. So for those of you probably thinking that investing in an efficient-looking generator would be a bad bargain a few years from now, you probably should rethink the idea again. 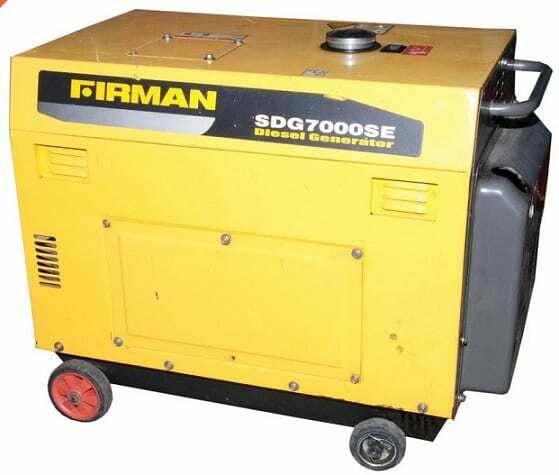 Now, since we are on the same page again, let me actually introduce you to one of a few outstanding generators, the FIRMAN diesel generator. Firman is a popular brand known by many across the world. Firstly, it is quite very familiar for one of its products, the Sumec Firman generator which uses gasoline. In addition to this, it came up with the Firman Diesel Generator which has a capacity of between 2.5kva to about 2Mva. Its applications can span from industries to private home use and a few other areas. One advantage for those seeking a private home use is that the Firman diesel generator is basically low sound proof. No heavy or disturbing sound in any way! For company use, the 2000kva or 2Mva is mostly the most suitable. Firman diesel generators provide the buyer with a number of engine options. For example, the low power type comes with the Firman engine while both the medium and high powered type can either come with an engine made by Cummins, Perkins, MTU or even Firman itself. The difference? The Perkins type of engine offers a range between 9.1kva to 2250kva, the Cummins range from 25kva to 2080kva and while Firman engines cover the range of 9kva to 250kva. Some of them come soundproof. For example, the Firman SDG5000SE 4.2KVA Generator, Firman SDG3500SE 2.8KVA Generator, and the Firman SDG7000SE 4.5KVA Generator are well sound proof, as indicated by their model. SE, S stands for soundproof while E indicates that it comes with an electric starter or key starter. It guarantees capacity and it’s very affordable. The Firman diesel generator was made in a way as to run on low diesel, to ensure the buyer can enjoy the length at which it is run. It is also very affordable for the quality it comes with. So far, so good, there has been no cause for alarm, and many a review about the Firman Diesel Generator has been absolutely awesome. With the inconsistency of electricity supply these days, it is no longer advisable for us to groan in the dark when we deserve better. There are good, many things we can do with electricity, providing better business services, watching champions league matches, the Wimbledon games, our favourite television shows, or just enjoying the warmth with which electricity brings. And our only best option is to seek alternative power supply, and that is absolutely what the FIRMAN DIESEL GENERATOR can provide. So, don’t wait for a better option, because the best is purchasing a Firman diesel generator today!